POETIC JUSTICE, the Brandeis Poetry Slam Team is officially one of the top 20 collegiate poetry teams in country. This fact is made true, as the team is in preparation for SEMI-FINALS, which take place April 12 at 8:00pm. The team will be competing against Barnard, NYU, Oberlin and University of Miami. 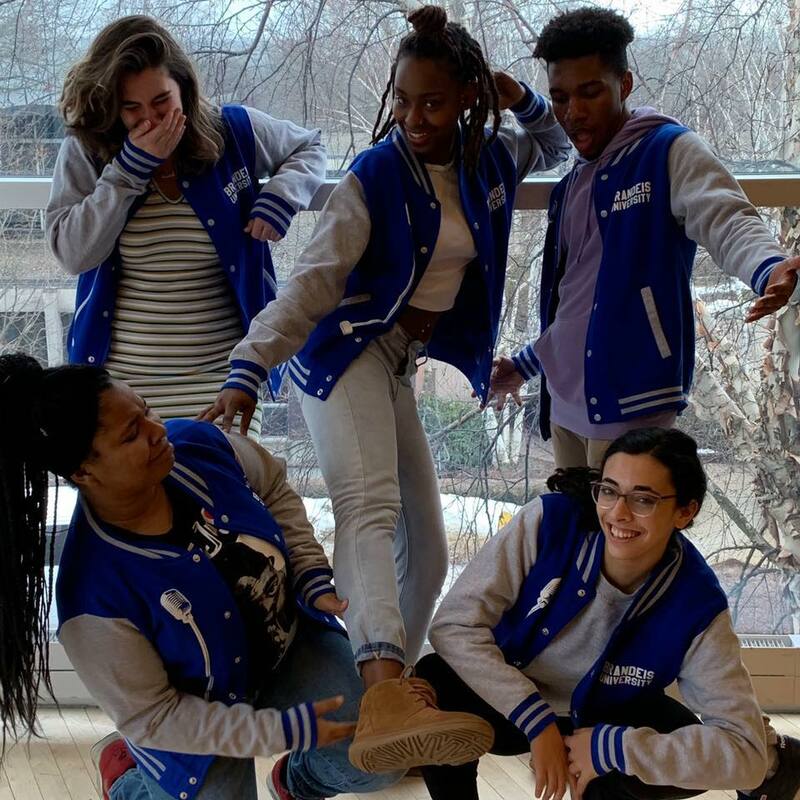 Poestic Justice's travel to the semi-final slam poetry competion was sponsored by the Minor in Creativity, the Arts, and Social Transformation (CAST) with financial support from The Max and Sunny Howard Memorial Foundation (through the support of Naomi Sinnreich, P’13). 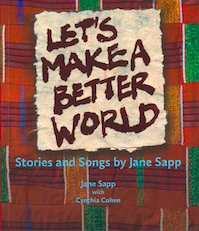 Let’s Make a Better World: Stories and Songs by Jane Sapp is a new resource for music educators, chorus leaders, activists and cultural workers. In it, the nationally admired cultural worker, musician, educator, and activist, Jane Wilburn Sapp, shares her approach to social transformation and its roots in African-American musical traditions. In the book, Jane tells the story of her childhood, nurtured by the Black community while living in the brutal world of the Jim Crow South. She describes her participation in the Black Power movement and introduces us to her mentors. She shares 25 songs she has written with young people and sung with people of all ages, and tells the stories behind each song and offers suggestions or teachers and chorus leaders. The book also includes scores, and all of the songs can be heard on podcasts where Jane’s approach to cultural work is illuminated through conversations with activists, cultural workers, and music educators. A poem by Sarah Terrazano '19, "Fire in the Woods," which examines the layers of occupation at Walden Pond (challenging Thoreau's primacy), was the selection for the 2019 Academy of American Poets Prize. The award was given as part of Brandeis's 2019 University and College Prize for the Academy of American Poets. An outside judge selected two poems, one for each prize. Sarah is a rising senior at Brandeis, and the Peacebuilding and the Arts Undergraduate Assistant at the Ethics Center. A writer and poet, she is an English/Creative Writing major with minors in Creativity, the Arts, and Social Transformation (CAST) and Hispanic Studies. She is also the Editor-in-Chief of The Brandeis Hoot newspaper. "I am forever grateful for the spaces I have shared ever since then with real poets, particularly poets of color. An individual who I am particularly appreciative of would have to be Brandeis and CAST alum, LaShawn Simmons ‘18, who cultivated one of the most culturally impactful and transformative spaces I have ever been in - Ebony Axis. 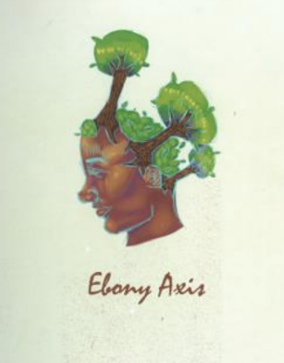 Ebony Axis is a literary magazine dedicated to women of color on Brandeis’ campus and with each annual publishing comes a coffeehouse-esque sort of open mic/reading/celebration which I have attended each year since my start at Brandeis. Ebony Axis has been a literal and metaphorical healing space for many women of color, particularly Black women, as it allows us to take a physical and mental break from all that comes with being a Black woman studying on Brandeis’ campus and provides a space dedicated specifically to sharing, communing with and celebrating ourselves." Learn more about LaShawn Simmons and about Ebony Axis. Sign up for the quarterly Peacebuilding and the Arts Now e-newsletter.